If you have recorded a batch of video clips with your iPad camera, you may consider transferring them to your Mac and burning them onto DVD discs. By doing so, you will save a huge capacity of your iPad device, as videos taken with iPad are in HD and thus bite much of the space. It is also a good way to backup your video files and preserve the precious moments for further enjoyment. To burn iPad videos onto DVDs, you just get DVD Photo Slideshow to help you. 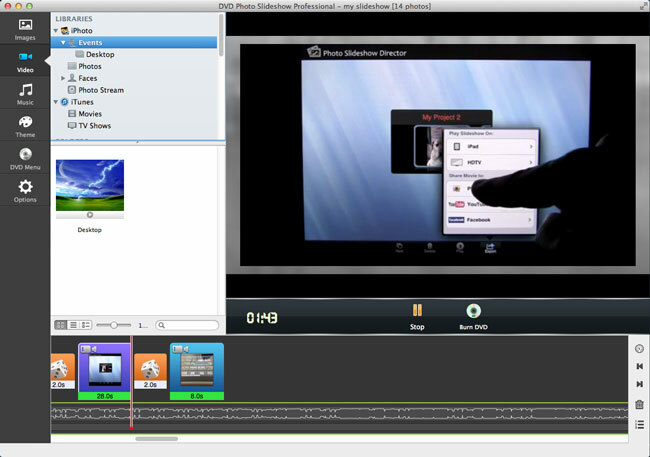 This slideshow DVD creator Mac app lets you create HD slideshows with photos, videos and music with ease. You can choose to encode your iPad video slideshows into video files or burn your iPad video slideshows onto DVD discs. DVD Photo Slideshow is fully compatible with Mac OS X 10.7 Lion, 10.8 Mountain Lion and 10.9 Mavericks. Follow the steps below to start burning iPad videos to DVD using DVD Photo Slideshow. 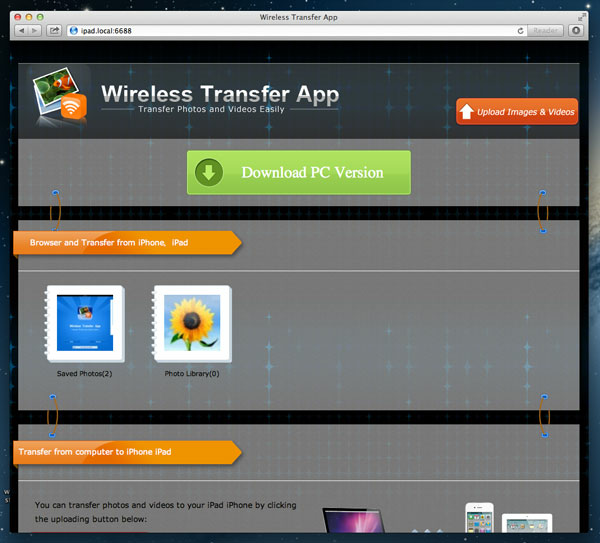 To transfer videos from iPad to Mac, you just download Wireless Transfer App to help you. It takes advantage of Wi-Fi network to transfer videos between iPad and Mac. So long as your iPad and Mac are connected to the same Wi-Fi network, you will get your iPad videos downloaded to your Mac wirelessly and instantly. 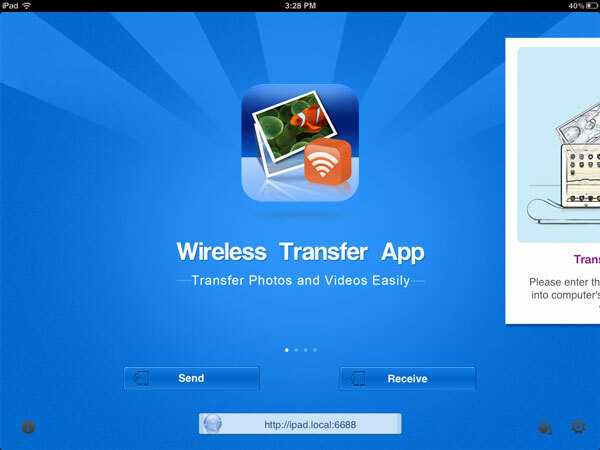 1) Download and install Wireless Transfer App onto your iPad. 2) Make sure your iPad and Mac are connected to the same Wi-Fi network. 3) Run Wireless Transfer App on your iPad. 4) Find the HTTP address at the bottom of the welcome screen. 5) Open a web browser in your Mac and type the address exactly as that appears on your iPad (including the colon and the following port number). 6) The browser will list all the photos and videos in your iPad. 7) Select and download the videos you want to download to your Mac. 1) Click menu Slideshow -> Add Video Clip to load videos from your Mac folder. 2) Directly drag and drop videos from your Mac hard drive to the timeline. 3) Go to the Video tab to browse videos in your Mac and get them added to the project. 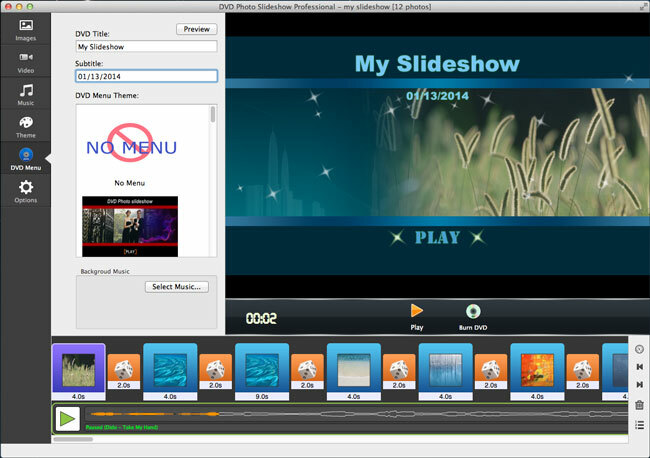 Go to the DVD Menu tab, and you can set DVD title and subtitle, pick a DVD menu theme, and select menu background music for your slideshow DVD. Go to the Options tab, and you can set TV system as NTSC or PAL and select DVD video aspect as 16:9 or 4:3. To burn iPad video slideshow to DVD, click menu Share and choose Burn DVD or click the Burn DVD button in the preview window. 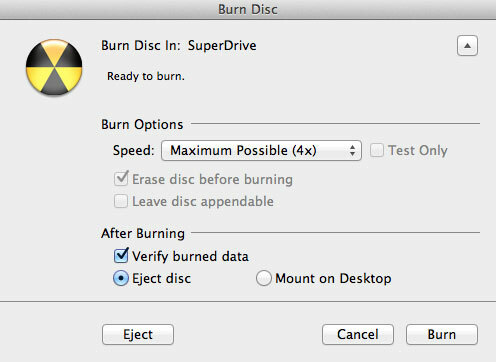 You can make some burning settings in the Burn Disc window. Click the Burn button to start burning iPad video slideshow to DVD. 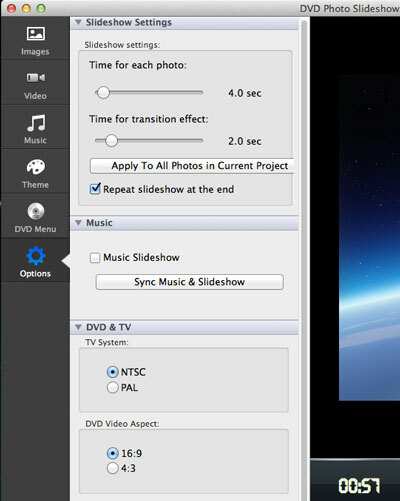 Note: DVD Photo Slideshow for Mac offers a lot more options (transitions, menus, themes, effects, etc.) to make a perfect slideshow. Click to learn more about how to use DVD Photo Slideshow for Mac.